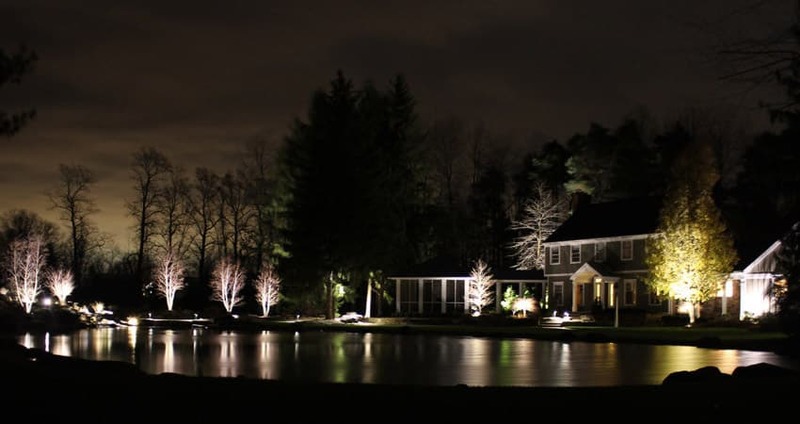 When professionally designed and installed, landscape lighting adds a new dimension to your home or business. The darkness, which hid your landscaping and building, is replaced with warmth, balance, and the charm of moonlight. Pathways and driveways are illuminated to create ease, safety, and night-time mobility. We will help you enjoy your beautiful home in a new way after darkness falls. 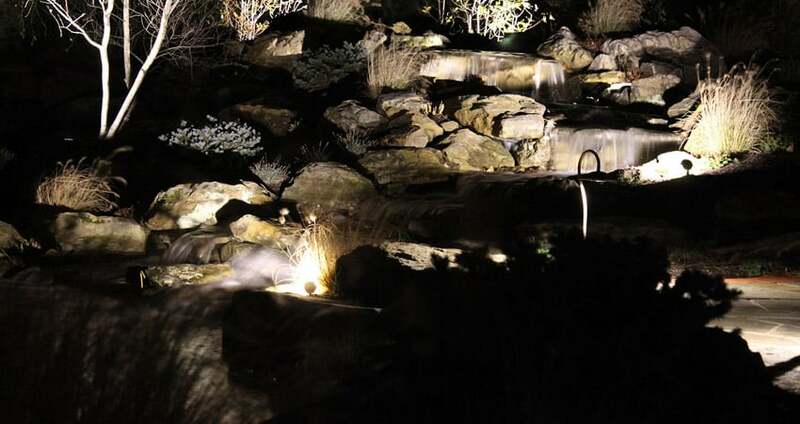 Our specialty is creative landscape lighting designs that illuminate and enhance all types of landscape and building architecture. All of our lighting designs elegantly transform your home into a neighborhood showpiece. We want your investment to be enjoyed by you as well as anyone who views your home. All of our lighting projects are completed using Kichler LED lights, in which your transformer is guaranteed for life! Our professionally trained specialists and installation technicians are some of the best in the industry.